MALACAÑANG on Thursday, November 16, thanked the Filipino people for their cooperation in ensuring the success of the 2017 Association of Southeast Asian Nations (Asean) Summit and Related Meetings. "We'd like to thank everyone, most especially the Filipino people for their support and cooperation in making this event peaceful, orderly, fruitful and very much a success," Presidential Spokesperson Harry Roque said in a press conference. "It was a tremendous success. Of course, now that all the guests are gone, there's a sigh of relief that there was no untoward incident. All that could have happened was one explosion, even if no one was hurt or asked to have a major disaster in our hands. Thanks to the cooperation of the Filipino people, we averted such incidents," he added. Roque said it only proves that the Philippines "is safe to visit." He said the Philippines earned "global admiration" for its capability to organize international events. "The world community now recognizes not only the fact that the President is not just the President of the Philippines, a leader of Southeast Asia, but a recognized leader in the international community," the presidential spokesman said. President Rodrigo Duterte, this year's Asean chair, hosted the 31st Asean Summit and Related Meetings that were attended by heads of state of Asean member-states and their dialogue partners on November 13 to 14. Nine Asean leaders, as well as world leaders like United States President Donald Trump, Canadian Prime Minister Justine Trudeau, Japanese Prime Minsiter Shinzo Abe, European Union President Donald Tusk, and United Nations Secretary General Antonio Gutierres, participated in the event. Despite the successful hosting of Asean, the Duterte government still received criticisms from opposition groups that believed the country gained nothing from the recently-concluded summit. 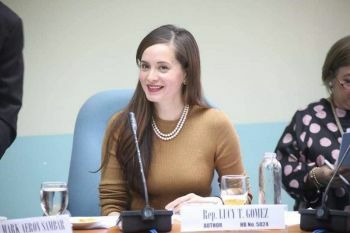 House opposition lawmakers dismissed the event as a "failed PR (press release) stunt" and a "monstrous and glitzy photo op (opportunity)." Roque said the forum was "not a matter of pageantry" because it focused on tackling key issues such as South China Sea disputes, terrorism, and tension in Korean peninsula.